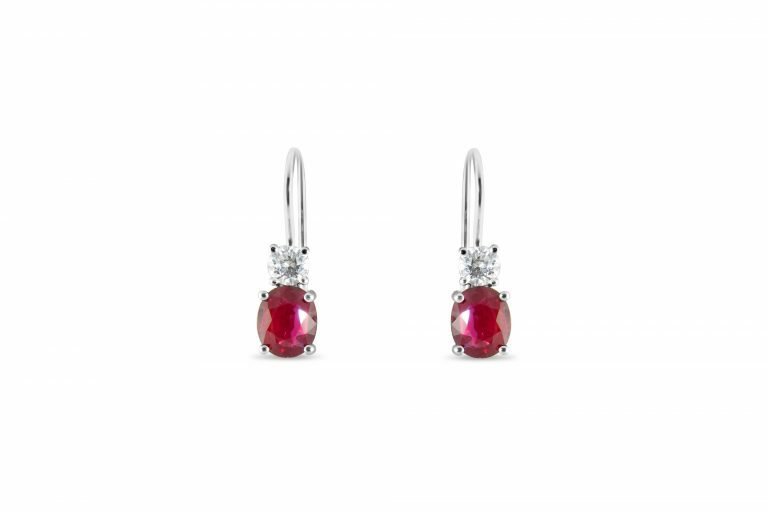 Custom made dangling 14kt white gold earrings with 2 oval shape high quality rubies, total weight 2.00 carats, and 2 round high quality diamonds, total weight.42 carats. Can be made with different sizes, shapes and quality of stones. Please contact us for pricing.